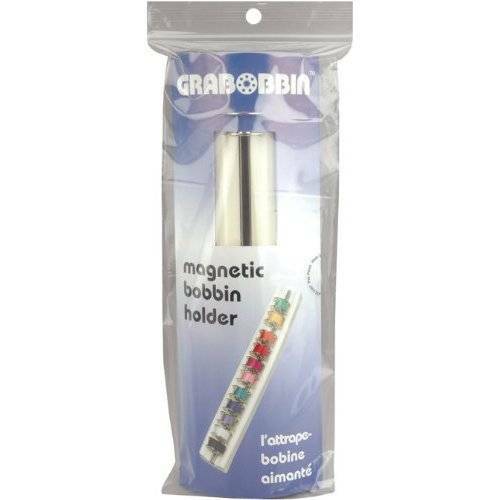 Grabobbin magnetic bobbin holder. 8" long. Magnetic bar holds bobbins in place to prevent unwinding. Holds approx. 16 standard size metal bobbins. Includes one bobbin.